In the realm of luxury SUVs, the Mercedes-Benz GLS SUV stands out for not forgetting the “Utility Vehicle” part of that designation. Of course it embodies all the luxurious amenities and winning design you’d expect of a Mercedes-Benz model—like all-LED lighting and comfortable seating for seven. There are even available massaging front seats for a truly deluxe experience. But that GLS SUV is also a supremely capable vehicle, one that stands tall in its segment. For all its decadent design, the Mercedes-Benz GLS SUV still runs circles around the competition in terms of performance. It boasts a burly 577-hp biturbo V8 engine under the hood for incredible power, as well as the innovative AIRMATIC®-based AMG® Sport Suspension for smooth sailing and the nimble ACTIVE CURVE SYSTEM for superior cornering. And the standard 4MATIC® all-wheel drive adjusts the torque of each wheel for incredible traction in the harshest conditions. If you want to enjoy everything the Mercedes-Benz GLS SUV has to offer, then check out the inventory here at Mercedes-Benz of El Dorado Hills. Our friendly sales staff and flexible financing options make it easy to find and fund one of these beautiful models. So contact us online, and schedule yourself a test drive today! Scores 22 Highway MPG and 16 City MPG! This Mercedes-Benz GLS boasts a Twin Turbo Premium Unleaded V-6 3.0 L/183 engine powering this Automatic transmission. Wheels: 19 5-Spoke, Window Grid Diversity Antenna, Wheels w/Machined w/Painted Accents Accents. * This Mercedes-Benz GLS Features the Following Options *Valet Function, Urethane Gear Shift Knob, Trunk/Hatch Auto-Latch, Trip Computer, Transmission: 9G-TRONIC 9-Speed Automatic, Transmission w/Driver Selectable Mode and Sequential Shift Control w/Steering Wheel Controls, Tracker System, Towing Equipment -inc: Trailer Sway Control, Tires: P275/55R19 AS, Tire Specific Low Tire Pressure Warning. * Visit Us Today *For a must-own Mercedes-Benz GLS come see us at Mercedes Benz of El Dorado Hills, 1000 Mercedes Lane, El Dorado Hills, CA 95762. Just minutes away! *Golden Rule*We are a Golden Rule company dedicating ourselves to world-class customer service in an environment of trust, dignity, and fun. George Grinzewitsch, CEO and Owner, Von Housen Automotive Group For more than 60 years, Von Housen Automotive Group has delivered high-end luxury vehicles to discerning clients throughout the greater Sacramento area, and is the place more people trust for quality, service, and a large selection of Mercedes-Benz vehicles. Von Housen Automotive Group operates three Mercedes-Benz dealerships in Northern California, including Mercedes-Benz of Sacramento, Mercedes-Benz of Rocklin and Mercedes-Benz of El Dorado Hills. The group also owns Mercedes-Benz Sprinter dealerships in both Rocklin and Sacramento. Mercedes-Benz of North America Von Housen Automotive Group has more than 300 dedicated employees and sells approximately $301,000,000 in new and used vehicles, parts and service annually. The team is also a leader in supporting community, philanthropic and non-profit initiatives. Stop by Mercedes-Benz of El Dorado Hills to experience a wide selection of Mercedes-Benz luxury cars, presented by Northern California’s leading team of sales advisors. Reach us online, or give us a call.Scores 22 Highway MPG and 16 City MPG! This Mercedes-Benz GLS boasts a Twin Turbo Premium Unleaded V-6 3.0 L/183 engine powering this Automatic transmission. Wheels: 19 5-Spoke, Window Grid Diversity Antenna, Wheels w/Machined w/Painted Accents Accents. * This Mercedes-Benz GLS Features the Following Options *Valet Function, Urethane Gear Shift Knob, Trunk/Hatch Auto-Latch, Trip Computer, Transmission: 9G-TRONIC 9-Speed Automatic, Transmission w/Driver Selectable Mode and Sequential Shift Control w/Steering Wheel Controls, Tracker System, Towing Equipment -inc: Trailer Sway Control, Tires: P275/55R19 AS, Tire Specific Low Tire Pressure Warning. * Visit Us Today *For a must-own Mercedes-Benz GLS come see us at Mercedes Benz of El Dorado Hills, 1000 Mercedes Lane, El Dorado Hills, CA 95762. Just minutes away! *Golden Rule*We are a Golden Rule company dedicating ourselves to world-class customer service in an environment of trust, dignity, and fun. George Grinzewitsch, CEO and Owner, Von Housen Automotive Group For more than 60 years, Von Housen Automotive Group has delivered high-end luxury vehicles to discerning clients throughout the greater Sacramento area, and is the place more people trust for quality, service, and a large selection of Mercedes-Benz vehicles. Von Housen Automotive Group operates three Mercedes-Benz dealerships in Northern California, including Mercedes-Benz of Sacramento, Mercedes-Benz of Rocklin and Mercedes-Benz of El Dorado Hills. The group also owns Mercedes-Benz Sprinter dealerships in both Rocklin and Sacramento. Mercedes-Benz of North America Von Housen Automotive Group has more than 300 dedicated employees and sells approximately $301,000,000 in new and used vehicles, parts and service annually. The team is also a leader in supporting community, philanthropic and non-profit initiatives. Stop by Mercedes-Benz of El Dorado Hills to experience a wide selection of Mercedes-Benz luxury cars, presented by Northern California’s leading team of sales advisors. Reach us online, or give us a call. Scores 22 Highway MPG and 16 City MPG! This Mercedes-Benz GLS boasts a Twin Turbo Premium Unleaded V-6 3.0 L/183 engine powering this Automatic transmission. Wheels: 19 5-Spoke, Window Grid Diversity Antenna, Wheels w/Machined w/Painted Accents Accents. * This Mercedes-Benz GLS Features the Following Options *Valet Function, Urethane Gear Shift Knob, Trunk/Hatch Auto-Latch, Trip Computer, Transmission: 9G-TRONIC 9-Speed Automatic, Transmission w/Driver Selectable Mode and Sequential Shift Control w/Steering Wheel Controls, Tracker System, Towing Equipment -inc: Trailer Sway Control, Tires: P275/55R19 AS, Tire Specific Low Tire Pressure Warning. * Stop By Today *Come in for a quick visit at Mercedes Benz of El Dorado Hills, 1000 Mercedes Lane, El Dorado Hills, CA 95762 to claim your Mercedes-Benz GLS! *Golden Rule*We are a Golden Rule company dedicating ourselves to world-class customer service in an environment of trust, dignity, and fun. George Grinzewitsch, CEO and Owner, Von Housen Automotive Group For more than 60 years, Von Housen Automotive Group has delivered high-end luxury vehicles to discerning clients throughout the greater Sacramento area, and is the place more people trust for quality, service, and a large selection of Mercedes-Benz vehicles. Von Housen Automotive Group operates three Mercedes-Benz dealerships in Northern California, including Mercedes-Benz of Sacramento, Mercedes-Benz of Rocklin and Mercedes-Benz of El Dorado Hills. The group also owns Mercedes-Benz Sprinter dealerships in both Rocklin and Sacramento. Mercedes-Benz of North America Von Housen Automotive Group has more than 300 dedicated employees and sells approximately $301,000,000 in new and used vehicles, parts and service annually. The team is also a leader in supporting community, philanthropic and non-profit initiatives. Stop by Mercedes-Benz of El Dorado Hills to experience a wide selection of Mercedes-Benz luxury cars, presented by Northern California’s leading team of sales advisors. Reach us online, or give us a call.Scores 22 Highway MPG and 16 City MPG! This Mercedes-Benz GLS boasts a Twin Turbo Premium Unleaded V-6 3.0 L/183 engine powering this Automatic transmission. Wheels: 19 5-Spoke, Window Grid Diversity Antenna, Wheels w/Machined w/Painted Accents Accents. * This Mercedes-Benz GLS Features the Following Options *Valet Function, Urethane Gear Shift Knob, Trunk/Hatch Auto-Latch, Trip Computer, Transmission: 9G-TRONIC 9-Speed Automatic, Transmission w/Driver Selectable Mode and Sequential Shift Control w/Steering Wheel Controls, Tracker System, Towing Equipment -inc: Trailer Sway Control, Tires: P275/55R19 AS, Tire Specific Low Tire Pressure Warning. * Stop By Today *Come in for a quick visit at Mercedes Benz of El Dorado Hills, 1000 Mercedes Lane, El Dorado Hills, CA 95762 to claim your Mercedes-Benz GLS! *Golden Rule*We are a Golden Rule company dedicating ourselves to world-class customer service in an environment of trust, dignity, and fun. George Grinzewitsch, CEO and Owner, Von Housen Automotive Group For more than 60 years, Von Housen Automotive Group has delivered high-end luxury vehicles to discerning clients throughout the greater Sacramento area, and is the place more people trust for quality, service, and a large selection of Mercedes-Benz vehicles. Von Housen Automotive Group operates three Mercedes-Benz dealerships in Northern California, including Mercedes-Benz of Sacramento, Mercedes-Benz of Rocklin and Mercedes-Benz of El Dorado Hills. The group also owns Mercedes-Benz Sprinter dealerships in both Rocklin and Sacramento. Mercedes-Benz of North America Von Housen Automotive Group has more than 300 dedicated employees and sells approximately $301,000,000 in new and used vehicles, parts and service annually. The team is also a leader in supporting community, philanthropic and non-profit initiatives. Stop by Mercedes-Benz of El Dorado Hills to experience a wide selection of Mercedes-Benz luxury cars, presented by Northern California’s leading team of sales advisors. Reach us online, or give us a call. Boasts 22 Highway MPG and 16 City MPG! This Mercedes-Benz GLS delivers a Twin Turbo Premium Unleaded V-6 3.0 L/183 engine powering this Automatic transmission. Wheels: 19 5-Spoke, Window Grid Diversity Antenna, Wheels w/Machined w/Painted Accents Accents. * This Mercedes-Benz GLS Features the Following Options *Valet Function, Urethane Gear Shift Knob, Trunk/Hatch Auto-Latch, Trip Computer, Transmission: 9G-TRONIC 9-Speed Automatic, Transmission w/Driver Selectable Mode and Sequential Shift Control w/Steering Wheel Controls, Tracker System, Towing Equipment -inc: Trailer Sway Control, Tires: P275/55R19 AS, Tire Specific Low Tire Pressure Warning. * Visit Us Today *Test drive this must-see, must-drive, must-own beauty today at Mercedes Benz of El Dorado Hills, 1000 Mercedes Lane, El Dorado Hills, CA 95762. *Golden Rule*We are a Golden Rule company dedicating ourselves to world-class customer service in an environment of trust, dignity, and fun. George Grinzewitsch, CEO and Owner, Von Housen Automotive Group For more than 60 years, Von Housen Automotive Group has delivered high-end luxury vehicles to discerning clients throughout the greater Sacramento area, and is the place more people trust for quality, service, and a large selection of Mercedes-Benz vehicles. Von Housen Automotive Group operates three Mercedes-Benz dealerships in Northern California, including Mercedes-Benz of Sacramento, Mercedes-Benz of Rocklin and Mercedes-Benz of El Dorado Hills. The group also owns Mercedes-Benz Sprinter dealerships in both Rocklin and Sacramento. Mercedes-Benz of North America Von Housen Automotive Group has more than 300 dedicated employees and sells approximately $301,000,000 in new and used vehicles, parts and service annually. The team is also a leader in supporting community, philanthropic and non-profit initiatives. Stop by Mercedes-Benz of El Dorado Hills to experience a wide selection of Mercedes-Benz luxury cars, presented by Northern California’s leading team of sales advisors. Reach us online, or give us a call.Boasts 22 Highway MPG and 16 City MPG! This Mercedes-Benz GLS delivers a Twin Turbo Premium Unleaded V-6 3.0 L/183 engine powering this Automatic transmission. Wheels: 19 5-Spoke, Window Grid Diversity Antenna, Wheels w/Machined w/Painted Accents Accents. * This Mercedes-Benz GLS Features the Following Options *Valet Function, Urethane Gear Shift Knob, Trunk/Hatch Auto-Latch, Trip Computer, Transmission: 9G-TRONIC 9-Speed Automatic, Transmission w/Driver Selectable Mode and Sequential Shift Control w/Steering Wheel Controls, Tracker System, Towing Equipment -inc: Trailer Sway Control, Tires: P275/55R19 AS, Tire Specific Low Tire Pressure Warning. * Visit Us Today *Test drive this must-see, must-drive, must-own beauty today at Mercedes Benz of El Dorado Hills, 1000 Mercedes Lane, El Dorado Hills, CA 95762. *Golden Rule*We are a Golden Rule company dedicating ourselves to world-class customer service in an environment of trust, dignity, and fun. George Grinzewitsch, CEO and Owner, Von Housen Automotive Group For more than 60 years, Von Housen Automotive Group has delivered high-end luxury vehicles to discerning clients throughout the greater Sacramento area, and is the place more people trust for quality, service, and a large selection of Mercedes-Benz vehicles. Von Housen Automotive Group operates three Mercedes-Benz dealerships in Northern California, including Mercedes-Benz of Sacramento, Mercedes-Benz of Rocklin and Mercedes-Benz of El Dorado Hills. The group also owns Mercedes-Benz Sprinter dealerships in both Rocklin and Sacramento. Mercedes-Benz of North America Von Housen Automotive Group has more than 300 dedicated employees and sells approximately $301,000,000 in new and used vehicles, parts and service annually. The team is also a leader in supporting community, philanthropic and non-profit initiatives. Stop by Mercedes-Benz of El Dorado Hills to experience a wide selection of Mercedes-Benz luxury cars, presented by Northern California’s leading team of sales advisors. Reach us online, or give us a call. Delivers 22 Highway MPG and 16 City MPG! This Mercedes-Benz GLS boasts a Twin Turbo Premium Unleaded V-6 3.0 L/183 engine powering this Automatic transmission. Wheels: 19 5-Spoke, Window Grid Diversity Antenna, Wheels w/Machined w/Painted Accents Accents. *This Mercedes-Benz GLS Comes Equipped with These Options *Valet Function, Urethane Gear Shift Knob, Trunk/Hatch Auto-Latch, Trip Computer, Transmission: 9G-TRONIC 9-Speed Automatic, Transmission w/Driver Selectable Mode and Sequential Shift Control w/Steering Wheel Controls, Tracker System, Towing Equipment -inc: Trailer Sway Control, Tires: P275/55R19 AS, Tire Specific Low Tire Pressure Warning. 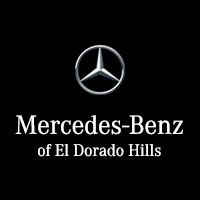 * Visit Us Today *A short visit to Mercedes Benz of El Dorado Hills located at 1000 Mercedes Lane, El Dorado Hills, CA 95762 can get you a trustworthy GLS today! *Golden Rule*We are a Golden Rule company dedicating ourselves to world-class customer service in an environment of trust, dignity, and fun. George Grinzewitsch, CEO and Owner, Von Housen Automotive Group For more than 60 years, Von Housen Automotive Group has delivered high-end luxury vehicles to discerning clients throughout the greater Sacramento area, and is the place more people trust for quality, service, and a large selection of Mercedes-Benz vehicles. Von Housen Automotive Group operates three Mercedes-Benz dealerships in Northern California, including Mercedes-Benz of Sacramento, Mercedes-Benz of Rocklin and Mercedes-Benz of El Dorado Hills. The group also owns Mercedes-Benz Sprinter dealerships in both Rocklin and Sacramento. Mercedes-Benz of North America Von Housen Automotive Group has more than 300 dedicated employees and sells approximately $301,000,000 in new and used vehicles, parts and service annually. The team is also a leader in supporting community, philanthropic and non-profit initiatives. Stop by Mercedes-Benz of El Dorado Hills to experience a wide selection of Mercedes-Benz luxury cars, presented by Northern California’s leading team of sales advisors. Reach us online, or give us a call.Delivers 22 Highway MPG and 16 City MPG! This Mercedes-Benz GLS boasts a Twin Turbo Premium Unleaded V-6 3.0 L/183 engine powering this Automatic transmission. Wheels: 19 5-Spoke, Window Grid Diversity Antenna, Wheels w/Machined w/Painted Accents Accents. *This Mercedes-Benz GLS Comes Equipped with These Options *Valet Function, Urethane Gear Shift Knob, Trunk/Hatch Auto-Latch, Trip Computer, Transmission: 9G-TRONIC 9-Speed Automatic, Transmission w/Driver Selectable Mode and Sequential Shift Control w/Steering Wheel Controls, Tracker System, Towing Equipment -inc: Trailer Sway Control, Tires: P275/55R19 AS, Tire Specific Low Tire Pressure Warning. * Visit Us Today *A short visit to Mercedes Benz of El Dorado Hills located at 1000 Mercedes Lane, El Dorado Hills, CA 95762 can get you a trustworthy GLS today! *Golden Rule*We are a Golden Rule company dedicating ourselves to world-class customer service in an environment of trust, dignity, and fun. George Grinzewitsch, CEO and Owner, Von Housen Automotive Group For more than 60 years, Von Housen Automotive Group has delivered high-end luxury vehicles to discerning clients throughout the greater Sacramento area, and is the place more people trust for quality, service, and a large selection of Mercedes-Benz vehicles. Von Housen Automotive Group operates three Mercedes-Benz dealerships in Northern California, including Mercedes-Benz of Sacramento, Mercedes-Benz of Rocklin and Mercedes-Benz of El Dorado Hills. The group also owns Mercedes-Benz Sprinter dealerships in both Rocklin and Sacramento. Mercedes-Benz of North America Von Housen Automotive Group has more than 300 dedicated employees and sells approximately $301,000,000 in new and used vehicles, parts and service annually. The team is also a leader in supporting community, philanthropic and non-profit initiatives. Stop by Mercedes-Benz of El Dorado Hills to experience a wide selection of Mercedes-Benz luxury cars, presented by Northern California’s leading team of sales advisors. Reach us online, or give us a call. Delivers 22 Highway MPG and 16 City MPG! This Mercedes-Benz GLS boasts a Twin Turbo Premium Unleaded V-6 3.0 L/183 engine powering this Automatic transmission. Wheels: 19 5-Spoke, Window Grid Diversity Antenna, Wheels w/Machined w/Painted Accents Accents. * This Mercedes-Benz GLS Features the Following Options *Valet Function, Urethane Gear Shift Knob, Trunk/Hatch Auto-Latch, Trip Computer, Transmission: 9G-TRONIC 9-Speed Automatic, Transmission w/Driver Selectable Mode and Sequential Shift Control w/Steering Wheel Controls, Tracker System, Towing Equipment -inc: Trailer Sway Control, Tires: P275/55R19 AS, Tire Specific Low Tire Pressure Warning. * Stop By Today *Test drive this must-see, must-drive, must-own beauty today at Mercedes Benz of El Dorado Hills, 1000 Mercedes Lane, El Dorado Hills, CA 95762. *Golden Rule*We are a Golden Rule company dedicating ourselves to world-class customer service in an environment of trust, dignity, and fun. George Grinzewitsch, CEO and Owner, Von Housen Automotive Group For more than 60 years, Von Housen Automotive Group has delivered high-end luxury vehicles to discerning clients throughout the greater Sacramento area, and is the place more people trust for quality, service, and a large selection of Mercedes-Benz vehicles. Von Housen Automotive Group operates three Mercedes-Benz dealerships in Northern California, including Mercedes-Benz of Sacramento, Mercedes-Benz of Rocklin and Mercedes-Benz of El Dorado Hills. The group also owns Mercedes-Benz Sprinter dealerships in both Rocklin and Sacramento. Mercedes-Benz of North America Von Housen Automotive Group has more than 300 dedicated employees and sells approximately $301,000,000 in new and used vehicles, parts and service annually. The team is also a leader in supporting community, philanthropic and non-profit initiatives. Stop by Mercedes-Benz of El Dorado Hills to experience a wide selection of Mercedes-Benz luxury cars, presented by Northern California’s leading team of sales advisors. Reach us online, or give us a call.Delivers 22 Highway MPG and 16 City MPG! This Mercedes-Benz GLS boasts a Twin Turbo Premium Unleaded V-6 3.0 L/183 engine powering this Automatic transmission. Wheels: 19 5-Spoke, Window Grid Diversity Antenna, Wheels w/Machined w/Painted Accents Accents. * This Mercedes-Benz GLS Features the Following Options *Valet Function, Urethane Gear Shift Knob, Trunk/Hatch Auto-Latch, Trip Computer, Transmission: 9G-TRONIC 9-Speed Automatic, Transmission w/Driver Selectable Mode and Sequential Shift Control w/Steering Wheel Controls, Tracker System, Towing Equipment -inc: Trailer Sway Control, Tires: P275/55R19 AS, Tire Specific Low Tire Pressure Warning. * Stop By Today *Test drive this must-see, must-drive, must-own beauty today at Mercedes Benz of El Dorado Hills, 1000 Mercedes Lane, El Dorado Hills, CA 95762. *Golden Rule*We are a Golden Rule company dedicating ourselves to world-class customer service in an environment of trust, dignity, and fun. George Grinzewitsch, CEO and Owner, Von Housen Automotive Group For more than 60 years, Von Housen Automotive Group has delivered high-end luxury vehicles to discerning clients throughout the greater Sacramento area, and is the place more people trust for quality, service, and a large selection of Mercedes-Benz vehicles. Von Housen Automotive Group operates three Mercedes-Benz dealerships in Northern California, including Mercedes-Benz of Sacramento, Mercedes-Benz of Rocklin and Mercedes-Benz of El Dorado Hills. The group also owns Mercedes-Benz Sprinter dealerships in both Rocklin and Sacramento. Mercedes-Benz of North America Von Housen Automotive Group has more than 300 dedicated employees and sells approximately $301,000,000 in new and used vehicles, parts and service annually. The team is also a leader in supporting community, philanthropic and non-profit initiatives. Stop by Mercedes-Benz of El Dorado Hills to experience a wide selection of Mercedes-Benz luxury cars, presented by Northern California’s leading team of sales advisors. Reach us online, or give us a call. Delivers 22 Highway MPG and 16 City MPG! This Mercedes-Benz GLS boasts a Twin Turbo Premium Unleaded V-6 3.0 L/183 engine powering this Automatic transmission. Wheels: 19 5-Spoke, Window Grid Diversity Antenna, Wheels w/Machined w/Painted Accents Accents. *This Mercedes-Benz GLS Comes Equipped with These Options *Valet Function, Urethane Gear Shift Knob, Trunk/Hatch Auto-Latch, Trip Computer, Transmission: 9G-TRONIC 9-Speed Automatic, Transmission w/Driver Selectable Mode and Sequential Shift Control w/Steering Wheel Controls, Tracker System, Towing Equipment -inc: Trailer Sway Control, Tires: P275/55R19 AS, Tire Specific Low Tire Pressure Warning. * Stop By Today *Come in for a quick visit at Mercedes Benz of El Dorado Hills, 1000 Mercedes Lane, El Dorado Hills, CA 95762 to claim your Mercedes-Benz GLS! *Golden Rule*We are a Golden Rule company dedicating ourselves to world-class customer service in an environment of trust, dignity, and fun. George Grinzewitsch, CEO and Owner, Von Housen Automotive Group For more than 60 years, Von Housen Automotive Group has delivered high-end luxury vehicles to discerning clients throughout the greater Sacramento area, and is the place more people trust for quality, service, and a large selection of Mercedes-Benz vehicles. Von Housen Automotive Group operates three Mercedes-Benz dealerships in Northern California, including Mercedes-Benz of Sacramento, Mercedes-Benz of Rocklin and Mercedes-Benz of El Dorado Hills. The group also owns Mercedes-Benz Sprinter dealerships in both Rocklin and Sacramento. Mercedes-Benz of North America Von Housen Automotive Group has more than 300 dedicated employees and sells approximately $301,000,000 in new and used vehicles, parts and service annually. The team is also a leader in supporting community, philanthropic and non-profit initiatives. Stop by Mercedes-Benz of El Dorado Hills to experience a wide selection of Mercedes-Benz luxury cars, presented by Northern California’s leading team of sales advisors. Reach us online, or give us a call.Delivers 22 Highway MPG and 16 City MPG! This Mercedes-Benz GLS boasts a Twin Turbo Premium Unleaded V-6 3.0 L/183 engine powering this Automatic transmission. Wheels: 19 5-Spoke, Window Grid Diversity Antenna, Wheels w/Machined w/Painted Accents Accents. *This Mercedes-Benz GLS Comes Equipped with These Options *Valet Function, Urethane Gear Shift Knob, Trunk/Hatch Auto-Latch, Trip Computer, Transmission: 9G-TRONIC 9-Speed Automatic, Transmission w/Driver Selectable Mode and Sequential Shift Control w/Steering Wheel Controls, Tracker System, Towing Equipment -inc: Trailer Sway Control, Tires: P275/55R19 AS, Tire Specific Low Tire Pressure Warning. * Stop By Today *Come in for a quick visit at Mercedes Benz of El Dorado Hills, 1000 Mercedes Lane, El Dorado Hills, CA 95762 to claim your Mercedes-Benz GLS! *Golden Rule*We are a Golden Rule company dedicating ourselves to world-class customer service in an environment of trust, dignity, and fun. George Grinzewitsch, CEO and Owner, Von Housen Automotive Group For more than 60 years, Von Housen Automotive Group has delivered high-end luxury vehicles to discerning clients throughout the greater Sacramento area, and is the place more people trust for quality, service, and a large selection of Mercedes-Benz vehicles. Von Housen Automotive Group operates three Mercedes-Benz dealerships in Northern California, including Mercedes-Benz of Sacramento, Mercedes-Benz of Rocklin and Mercedes-Benz of El Dorado Hills. The group also owns Mercedes-Benz Sprinter dealerships in both Rocklin and Sacramento. Mercedes-Benz of North America Von Housen Automotive Group has more than 300 dedicated employees and sells approximately $301,000,000 in new and used vehicles, parts and service annually. The team is also a leader in supporting community, philanthropic and non-profit initiatives. Stop by Mercedes-Benz of El Dorado Hills to experience a wide selection of Mercedes-Benz luxury cars, presented by Northern California’s leading team of sales advisors. Reach us online, or give us a call. Delivers 22 Highway MPG and 16 City MPG! This Mercedes-Benz GLS boasts a Twin Turbo Premium Unleaded V-6 3.0 L/183 engine powering this Automatic transmission. Wheels: 19 5-Spoke, Window Grid Diversity Antenna, Wheels w/Machined w/Painted Accents Accents. *This Mercedes-Benz GLS Comes Equipped with These Options *Valet Function, Urethane Gear Shift Knob, Trunk/Hatch Auto-Latch, Trip Computer, Transmission: 9G-TRONIC 9-Speed Automatic, Transmission w/Driver Selectable Mode and Sequential Shift Control w/Steering Wheel Controls, Tracker System, Towing Equipment -inc: Trailer Sway Control, Tires: P275/55R19 AS, Tire Specific Low Tire Pressure Warning. * Visit Us Today *Test drive this must-see, must-drive, must-own beauty today at Mercedes Benz of El Dorado Hills, 1000 Mercedes Lane, El Dorado Hills, CA 95762. *Golden Rule*We are a Golden Rule company dedicating ourselves to world-class customer service in an environment of trust, dignity, and fun. George Grinzewitsch, CEO and Owner, Von Housen Automotive Group For more than 60 years, Von Housen Automotive Group has delivered high-end luxury vehicles to discerning clients throughout the greater Sacramento area, and is the place more people trust for quality, service, and a large selection of Mercedes-Benz vehicles. Von Housen Automotive Group operates three Mercedes-Benz dealerships in Northern California, including Mercedes-Benz of Sacramento, Mercedes-Benz of Rocklin and Mercedes-Benz of El Dorado Hills. The group also owns Mercedes-Benz Sprinter dealerships in both Rocklin and Sacramento. Mercedes-Benz of North America Von Housen Automotive Group has more than 300 dedicated employees and sells approximately $301,000,000 in new and used vehicles, parts and service annually. The team is also a leader in supporting community, philanthropic and non-profit initiatives. Stop by Mercedes-Benz of El Dorado Hills to experience a wide selection of Mercedes-Benz luxury cars, presented by Northern California’s leading team of sales advisors. Reach us online, or give us a call.Delivers 22 Highway MPG and 16 City MPG! This Mercedes-Benz GLS boasts a Twin Turbo Premium Unleaded V-6 3.0 L/183 engine powering this Automatic transmission. Wheels: 19 5-Spoke, Window Grid Diversity Antenna, Wheels w/Machined w/Painted Accents Accents. *This Mercedes-Benz GLS Comes Equipped with These Options *Valet Function, Urethane Gear Shift Knob, Trunk/Hatch Auto-Latch, Trip Computer, Transmission: 9G-TRONIC 9-Speed Automatic, Transmission w/Driver Selectable Mode and Sequential Shift Control w/Steering Wheel Controls, Tracker System, Towing Equipment -inc: Trailer Sway Control, Tires: P275/55R19 AS, Tire Specific Low Tire Pressure Warning. * Visit Us Today *Test drive this must-see, must-drive, must-own beauty today at Mercedes Benz of El Dorado Hills, 1000 Mercedes Lane, El Dorado Hills, CA 95762. *Golden Rule*We are a Golden Rule company dedicating ourselves to world-class customer service in an environment of trust, dignity, and fun. George Grinzewitsch, CEO and Owner, Von Housen Automotive Group For more than 60 years, Von Housen Automotive Group has delivered high-end luxury vehicles to discerning clients throughout the greater Sacramento area, and is the place more people trust for quality, service, and a large selection of Mercedes-Benz vehicles. Von Housen Automotive Group operates three Mercedes-Benz dealerships in Northern California, including Mercedes-Benz of Sacramento, Mercedes-Benz of Rocklin and Mercedes-Benz of El Dorado Hills. The group also owns Mercedes-Benz Sprinter dealerships in both Rocklin and Sacramento. Mercedes-Benz of North America Von Housen Automotive Group has more than 300 dedicated employees and sells approximately $301,000,000 in new and used vehicles, parts and service annually. The team is also a leader in supporting community, philanthropic and non-profit initiatives. Stop by Mercedes-Benz of El Dorado Hills to experience a wide selection of Mercedes-Benz luxury cars, presented by Northern California’s leading team of sales advisors. Reach us online, or give us a call. Boasts 22 Highway MPG and 16 City MPG! This Mercedes-Benz GLS boasts a Twin Turbo Premium Unleaded V-6 3.0 L/183 engine powering this Automatic transmission. Wheels: 19 5-Spoke, Window Grid Diversity Antenna, Wheels w/Machined w/Painted Accents Accents. *This Mercedes-Benz GLS Comes Equipped with These Options *Valet Function, Urethane Gear Shift Knob, Trunk/Hatch Auto-Latch, Trip Computer, Transmission: 9G-TRONIC 9-Speed Automatic, Transmission w/Driver Selectable Mode and Sequential Shift Control w/Steering Wheel Controls, Tracker System, Towing Equipment -inc: Trailer Sway Control, Tires: P275/55R19 AS, Tire Specific Low Tire Pressure Warning. * Visit Us Today *For a must-own Mercedes-Benz GLS come see us at Mercedes Benz of El Dorado Hills, 1000 Mercedes Lane, El Dorado Hills, CA 95762. Just minutes away! *Golden Rule*We are a Golden Rule company dedicating ourselves to world-class customer service in an environment of trust, dignity, and fun. George Grinzewitsch, CEO and Owner, Von Housen Automotive Group For more than 60 years, Von Housen Automotive Group has delivered high-end luxury vehicles to discerning clients throughout the greater Sacramento area, and is the place more people trust for quality, service, and a large selection of Mercedes-Benz vehicles. Von Housen Automotive Group operates three Mercedes-Benz dealerships in Northern California, including Mercedes-Benz of Sacramento, Mercedes-Benz of Rocklin and Mercedes-Benz of El Dorado Hills. The group also owns Mercedes-Benz Sprinter dealerships in both Rocklin and Sacramento. Mercedes-Benz of North America Von Housen Automotive Group has more than 300 dedicated employees and sells approximately $301,000,000 in new and used vehicles, parts and service annually. The team is also a leader in supporting community, philanthropic and non-profit initiatives. Stop by Mercedes-Benz of El Dorado Hills to experience a wide selection of Mercedes-Benz luxury cars, presented by Northern California’s leading team of sales advisors. Reach us online, or give us a call.Boasts 22 Highway MPG and 16 City MPG! This Mercedes-Benz GLS boasts a Twin Turbo Premium Unleaded V-6 3.0 L/183 engine powering this Automatic transmission. Wheels: 19 5-Spoke, Window Grid Diversity Antenna, Wheels w/Machined w/Painted Accents Accents. *This Mercedes-Benz GLS Comes Equipped with These Options *Valet Function, Urethane Gear Shift Knob, Trunk/Hatch Auto-Latch, Trip Computer, Transmission: 9G-TRONIC 9-Speed Automatic, Transmission w/Driver Selectable Mode and Sequential Shift Control w/Steering Wheel Controls, Tracker System, Towing Equipment -inc: Trailer Sway Control, Tires: P275/55R19 AS, Tire Specific Low Tire Pressure Warning. * Visit Us Today *For a must-own Mercedes-Benz GLS come see us at Mercedes Benz of El Dorado Hills, 1000 Mercedes Lane, El Dorado Hills, CA 95762. Just minutes away! *Golden Rule*We are a Golden Rule company dedicating ourselves to world-class customer service in an environment of trust, dignity, and fun. George Grinzewitsch, CEO and Owner, Von Housen Automotive Group For more than 60 years, Von Housen Automotive Group has delivered high-end luxury vehicles to discerning clients throughout the greater Sacramento area, and is the place more people trust for quality, service, and a large selection of Mercedes-Benz vehicles. Von Housen Automotive Group operates three Mercedes-Benz dealerships in Northern California, including Mercedes-Benz of Sacramento, Mercedes-Benz of Rocklin and Mercedes-Benz of El Dorado Hills. The group also owns Mercedes-Benz Sprinter dealerships in both Rocklin and Sacramento. Mercedes-Benz of North America Von Housen Automotive Group has more than 300 dedicated employees and sells approximately $301,000,000 in new and used vehicles, parts and service annually. The team is also a leader in supporting community, philanthropic and non-profit initiatives. Stop by Mercedes-Benz of El Dorado Hills to experience a wide selection of Mercedes-Benz luxury cars, presented by Northern California’s leading team of sales advisors. Reach us online, or give us a call. New vehicle pricing includes all offers. Tax, Title and Tags not included in vehicle prices shown and must be paid by the purchaser. While great effort is made to ensure the accuracy of the information on this site, errors do occur so please verify information with a customer service rep. This is easily done by calling us at 888.336.9269 or by visiting us at the dealership.